A great percentage of our art collectors and readers live in Europe. Yesterday a lot of them asked us why President Obama did not want to go to the rally Sunday. We don’t know why he didn’t go. As acting presidents, Reagan and Clinton would not have missed it. 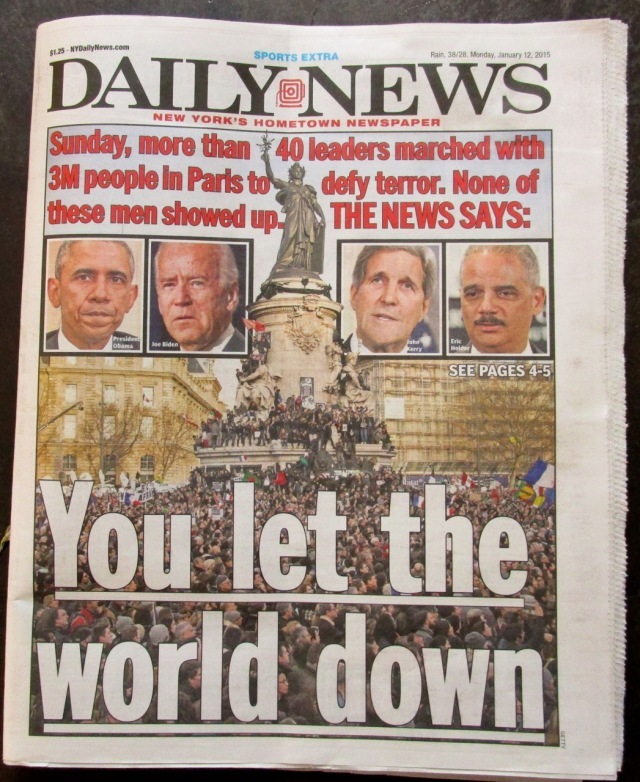 Kennedy, Eisenhower, Roosevelt stood arm in arm lots of times with the world leaders in support of freedom. Maybe Obama was playing golf. It’s not just the europeans though. He seems to miss a lot of American things too. He could not work into his schedule a visit to the families of journalists beheaded last year. Which would have been a nice gesture. People would like him more if he did some of this stuff. History will tell, but we are all fairly sure that he will go down as not too good of a president. But there is still a chance. Here at Lift Trucks Project, we employ a slogan called ” TCB” or, Taking Care of Business. And it works. 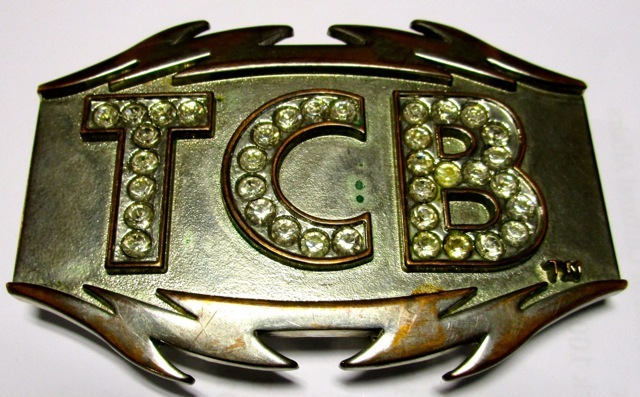 So, in the spirit of hope, we are sending the President his very own TCB rhinestone belt buckle. Just like Elvis had. We hope that Mr. Obama likes it and wears it all the time. You never know. It sure will look snappy. This entry was posted in Uncategorized and tagged Art Business, Art Collectors, Clinton, Elvis, France, Obama, Politics, Regan, Taking Care of Business, TCB, undefined. Bookmark the permalink.